MOTIVATED SELLER PLEASE BRING REASONABLE OFFER !!!!!!!!!! 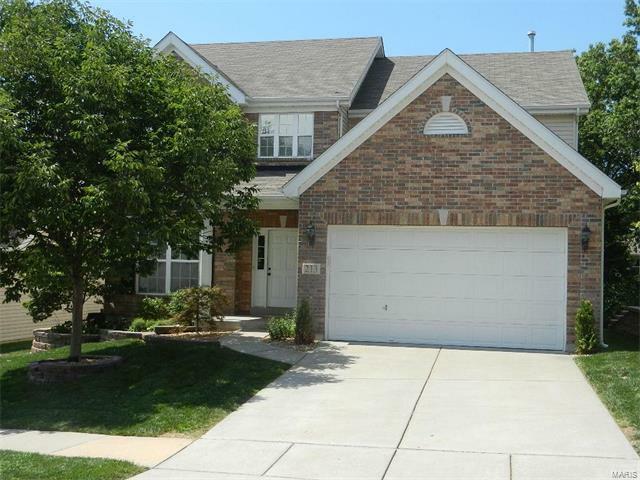 !Don't miss this beautiful 4 Bed, 3.5 baths in Eureka in the much desired Rockwood schools. Main floor boasts newer carpeting & hardwood floors, office, dining rm, living rm & large kitchen with brand new electric range smooth top. Living room has a gas fireplace, large 6 window bay & professionally installed surround sound. Breakfast rm walks out onto large deck with outdoor speakers. On the upper floor you will find 4 bedrooms, all with walk in closets . The master bedroom includes vaulted ceiling & a large walk in closet. Master bath has a double sink w/large soaking tub & 4' shower. The main floor has been freshly painted 8/17 along with stairways and upper hallway. The finished walk out basement has a living area that also includes surround sound, an additional finished room & full bath. Recent upgrades include 2 new HVAC systems dual zoned units in 7/ 2017 has a 10 year transferable warranty. In ground sprinkler system! West 5th street to right on viola lane to left on hunters heights to right on Hunters heights court to home on left.